WHILST YOU WERE DISTRACTED.....THE NHS SHRUNK.. In 2016, Labour Peer Lord Patrick Carter was asked to carry out a review by the then Conservative health secretary Jeremy Hunt as part of Hunt's aim to make the NHS a more efficient healthcare system. Ten years earlier, Jeremy Hunt and others wrote about how this 'efficient healthcare system' was to be implemented in a Tory policy paper titled 'direct democracy'. The policy paper called for the NHS to be replaced by an insurance system "breaking down the barriers between public and private providers, effectively 'denationalising' (privatising) the NHS in England". As per Hunt's wishes, Labour peer Patrick Carter [lord Carter of Coles] spent 18 months visiting hospitals across England reviewing productivity to ensure the NHS gets the best value from its £102 billion annual budget and help the NHS to implement Jeremy Hunt's 7-day service, much hated by junior doctors and NHS staff . As a reward, Lord carter of Coles, 73, become a non-executive director of the regulator NHS Improvement in April 2016 and was given carte blanche to transform how pathology should be reduced to a hub and spoke model, vastly cutting hospital pathology labs and replacing them with one or two county-wide labs serving smaller clinics/hospitals. A model VERY similar to that in the USA. Since 2016, Labour peer Lord Carter has been adviser to Health Secretary Jeremy Hunt and the link below shows his final report. In his review, Lord Carter looked at healthcare systems abroad, including the United States, to see how savings made in the private healthcare sector could be introduced into the English NHS. 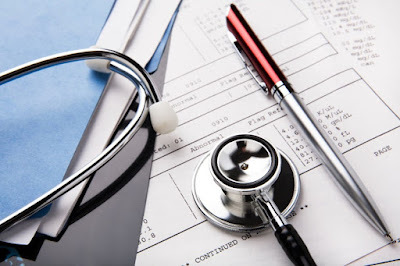 Following on from Carters US healthcare 'efficiency savings' ambitions, NHS England are in the process of 'transforming' the NHS into a system used in the USA called Accountable Care Organisations (ACOS). The CEO of NHS England is non other than ex Labour councillor and adviser to Tony Blair 'Simon Stevens'. Mr Stevens spent 10 years working for American private healthcare firm United health, and moved back to England in 2012 to implement what he had learned from the private sector into the NHS in England. Simon Stevens was educated at a state comprehensive, St. Bartholomew's School, and won a scholarship to Balliol College, Oxford University where he was president of the Oxford Union in the same academic year as friend Boris Johnson. Lancashire County Councils 'Health scrutiny committee' have agreed as an accurate record a report in the previous minutes about the 'integrated care system' (ICS) proposed for Lancashire (and south of Cumbria). The ICS system consists of a mean-spirited 'up front loaded' budget that will be 'demand managed' by a plethora of private/public bodies with little accountability to the public. The ICS was established in an attempt to curtail the demands placed on hospitals and the NHS budget after the introduction of 'GP-led clinical buying and selling groups' (clinical commissioning groups or CCGs for short). The minutes from the 5th Feb 2019 meeting say "The proposals to change the [hospital] services provided aimed to improve public health and wellbeing and therefore reduce the demand on hospitals". Those pushing the ICS however do not reveal just 'how' the closure of hospital outpatient services would result in improvements to the health and wellbeing of the public. This does mean though a large bulk of hospital outpatients services, those in demand by the private sector, will be closed and shipped out of hospitals into private-public run clinics cited in CCG literature as 'Multi-specialty Community Provider' (MCP) clinics. Currently, the hospital services are provided by Lancashire Teaching Hospitals NHS foundation Trust who recently declared a substantial deficit along with its hospitals in Chorley and Preston being found 'requiring improvement' overall for the second year running by the Care Quality Commission. 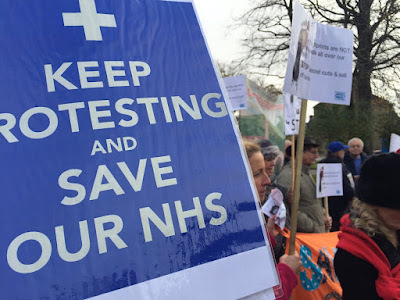 NHS campaigners fear that due to its large deficits the hospital trust may agree to any scheme CCGs propose, including selling off NHS hospital land, buildings, and NHS service contracts. Subsequently, in a news article out yesterday about long hospital waiting lists the Lancashire Teaching Hospital NHS 'foundation' trust say they are looking at sourcing 'alternative providers' in an attempt to reduce the backlog of 'NHS' patients waiting for elective operations. The Conservative ruling elite at county hall in Lancashire have come up with proposals to CUT over 6 social health intervention & prevention services that affect the most vulnerable in society. "We propose to stop offering specific physical activity and healthy weight programmes which currently target those people exercising for less than 30 minutes three times per week and/or with a BMI of between 25 and 34.9". "However, we are proposing to develop a programme for everyone in Lancashire, promoting the use of the county's existing assets ..in particular in open and green spaces. This would be through activities such as walking, running and cycling in urban, coast and countryside locations.."
Chorley, South Ribble & Preston are under threat of losing A&E services along with many outpatient services under a program ineptly titled 'our health our care'. A plan has been drawn up by health bosses which totally sidelines the issues of emergency care in the region and instead wishes to 'create an atmosphere of prevention of ill-health leading to a healthier lifestyle to prevent people visiting hospital or the doctors". They can't have it both ways, health intervention and prevention services will need to be increased to offset any existing NHS service closures. County hall needs to understand that cutting prevention services is contrary to the 'our health our care' plans they are consulting on later this year . If they are hell-bent on cutting prevention services; then existing NHS support services will continue to be heavily used and demand will only increase. It's not rocket science, they can't have it both ways. Cutting prevention services will result in increases in demand on other NHS services! You really couldn't make this up! Lancashire Wellbeing Service (LWS) : LWS supports those adults most at risk of a health or social care crisis to remain healthy and well. The Integrated Home Improvement Service (also known as Care and Repair). home improvements and adaptations for disabled people - provides help to people in need of extra support to make their homes safe and accessible, by assisting homeowners to maintain, repair and improve their properties. drug and alcohol rehabilitation service: mainly residential based programmes, with a small number of day programmes. Rehabilitation is an abstinence-based set of interventions to address the underlying causes of addiction in order to establish new ways of coping in real-life situations following treatment. Lancashire Break Time: a county-wide service providing short breaks for parents or carers of children and young people with special educational needs and/or a disability (SEND). The child or young person will attend a fun group activity whilst their parent or carer gets a short break from their caring role. When implementing an unpopular system, only to discover it's not working, rest assured you can watch your recruitment and retention rates fall, and your deficit grow. With all the chaos at Chorley and Preston hospitals due to the new hospital parking system, it's as though the hospital trust don't want anyone at their (OUR) hospitals at all. Preston hospital car parks were strapped for space no doubt but the lack of ground maintenance was apparent for all to see, a rubble and shambles. The excuses used by the trust to justify bringing in the most hated parking company 'Parking Eye' doesn't wash with anyone. At least anyone outside the 'trust board' fraternity. A more friendly intercom barrier system has been replaced with a hostile 'Pay or Else' big brother camera that haunts your waking hours waiting to pound your front door carpet with its penalty charge notice. A worrying and sickening thought for those already stressed about their loved ones who lay poorly in a hospital bed. Not content with doubling the parking fees and charging disabled people to park, Lancashire teaching hospitals NHS trust then add insult to injury by bringing in the countries most hated private parking company 'Parking Eye' to ensure penalties and profits are maximised for both parties! The new camera parking system implemented just before Christmas was a yuletide insult to staff, patients and visitors. How much disrespect can one show to those who pay their wages? The trust claim there are teething problems with the new parking system, yet when the machines fail, the Parking company, apparently based in Buckshaw village, are nowhere to be seen. The trust's website identifies the trusts 'council of governors' - (democratically elected by local people) as representing their local communities, and working together with the trust board to advise and influence how the hospital trust develop and deliver services. The proposal for the new ANPR hospital parking system however was heavily criticised by the council of governors but instead of heeding the advice the trust tried to gag the peoples voice and when things went wrong they suspended the governor who spoke out. Only 12 weeks ago it was reported that the Lancashire teaaching hospital trust charged their own staff over half-a-million £pounds to park at their place of work! They then reined in over £1.75 million in car parking fees taken from patients and visitors to the hospitals, sickening in itself. This trust board were reprimanded in an independant review for not acting sooner and recruiting staff to avoid closure of the A&E at Chorley & South Ribble district hospital in 2016. The board didn't listen then, and they've STILL not learned the lesson as they don't appear to be listening now. It's seems apparent the trust board do not have the interests of the public they serve as priority. With a £43m deficit, the new car parking scheme is just another funding stream that not only fails at the first hurdle, but has infuriated staff, patients and visitors to the extent nobody wants to visit or work there anymore. Well done Lancashire Teaching Hospitals NHS foundation trust, pat yourselves on the back whilst you watch staff recruitment and retention rates fall, and your deficits grow. (New parking charge strategies have been labelled "scrooge tactics" and "a tax on the sick" by critics). 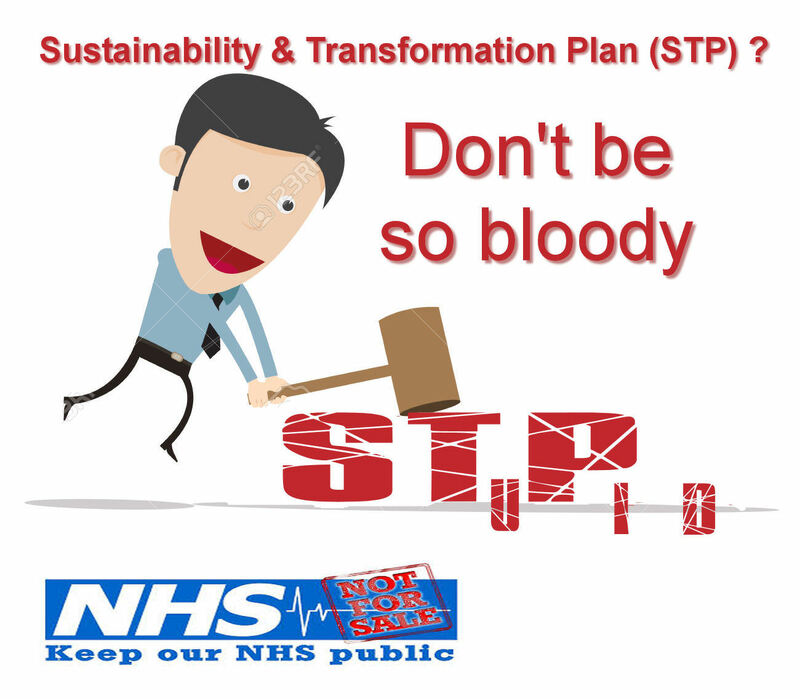 Are Chorley & Grantham required STP changes being pushed through on 'safety grounds' ? "STPs cannot solve the problem of inadequate funding. Ministers will have to fund the NHS properly or take political responsibility for its collapse". At the end of the day, when the innovations in STPs don’t deliver savings for the NHS, NHS England will again resort to cuts and rationing. Indeed many knowledgeable people see the STPs as a smokescreen to divert attention from cuts at trust level, whittling away staffing levels, imposing smaller-scale service reorganisations, and preparing to push through controversial closures on ‘safety’ grounds (as has happened in Grantham and Chorley and is increasingly on the cards in Ealing). 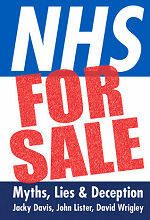 Currenty, Lancashire Teaching Hospitals NHS foundation Trust are £43m in deficit. How did the trust providers get into such a mess? The answer is pretty simple. Every year between 2010-11 and 2015-16 the amount hospitals were paid for each treatment they provided was cut, year after year. That meant that by 2015-16, a hospital was paid the equivalent of £820 to treat a patient they would have been paid £1,000 to care for in 2010-11. Under-funded hospitals are indeed failing to meet their targets. More than 10% of elective patients (364,000) are waiting over 18 weeks to start treatment, missing the time limit supposedly guaranteed under the NHS Constitution. ....abstractions like ‘integration’ and ‘self care’, to be found in every STP, distract attention from unpopular changes, and ignore facts on the ground. Public health programmes are actually being cut back across the country as a result of cuts in local government funding, so there is no money for the new prevention schemes that would be required to reduce the need for care, or for projects to tackle seriously the social determinants of health – which in any case would take years to show any measurable reduction in pressure on the NHS. Yet many if not all STPs rely on public health action to significantly reduce the ‘demand’ for services. Primary care is already floundering: with more and more practices unable to cope with ever-increasing pressure, many GPs are leaving and are increasingly hard to replace, while Jeremy Hunt’s promise to recruit 5,000 more GPs plainly lacks credibility. Many STPs seek to paper over the cracks, proposing that other, less qualified – and yet to be recruited –staff will take over a lot of the work now done by GPs. As for community health services, some rural STPs involve closing community hospitals, with Cumbria and Devon expecting patients to travel up to 50 miles on sometimes hazardous roads when they need hospital care. None of the STPs addresses travel issues for elderly, less mobile patients, or single parents. Even where community and home-based health or care services have been shown to be effective in enhancing patient care, they don’t save money, but cost more. Yet STPs are required to save money, to enable the NHS to deliver more services to more people and absorb more cost inflation and cost pressures over the next four years, and wipe out existing deficits. Many questions also hang over the proposals, more developed in some STPs than others, for the development of new forms of organisation of health care through US-style Accountable Care Organisations (now called Integrated Care Partnerships), as outlined by Simon Stevens in the Five Year Forward View. Many of these schemes are for the medium or longer term, and none of the proposals explain how they are supposed to improve services while at the same time saving money. Indeed far from being cheaper to run, ACOs in the USA receive and require far higher spending per head than any British equivalent could even dream of, with allocations between 3 and 5 times higher than the average £2057 spent per patient per year in England’s NHS – a figure which many STPs explicitly seek to further reduce. Nor do STPs address the consequences for existing NHS and Foundation Trusts of establishing new contracts and provider organisations, or the proposed reductions in caseload and funding for existing providers which are central to the expected cost ‘savings’. Since acute trusts are largely paid only for the patient care they deliver (‘payment by results’), a reduction in caseload in one service can trigger the collapse of viability of related services and pull the financial rug from already indebted trusts. reorganisations, and preparing to push through controversial closures on ‘safety’ grounds (as has happened in Grantham and Chorley and is increasingly on the cards in Ealing). Up to half of most STPs’ planned savings are in any case to be squeezed out of the hospital sector, through ever more relentless ‘efficiency savings’ and reductions in staffing levels, along with closures of beds, services and even whole hospitals. With no alternative services in place, and no capital available to build new or extend existing hospitals, and with even community hospital beds and staff facing cuts, it is a recipe for a chronically under-resourced, chaotic and scandal-prone NHS. Promoting STPs may seem an easier course of action for NHS England than to warn Mrs May that if the cash freeze begun in 2010 is extended to 2020/21, many services will collapse. We know that Simon Stevens’ effort to do this after she became Prime Minister was met with a frosty reception. But STPs cannot solve the problem of inadequate funding. Ministers will have to fund the NHS properly or take political responsibility for its collapse. NHS England have just paved the way for the private health sector to run the front end of every major hospital in Lincolnshire. Simon Stevens, the boss of NHS England and ex vice president of UnitedHealth, the largest private health insurer in the united states, announced his plan to convert the public NHS in England into his American counterpart called an 'accountable care system'. He did this in what NHS England call the five year forward view, the blueprint document all regional Sustainability & Transformation Plans [STPs] are based on. Decoupling hospital services such as outpatients and diagnostics and moving them into private-public community clinics is a crucial part of the STPs and privatisation process. As is closing A&E departments and replacing them with urgent care centres, also ultimately with the facility to be run by the private healthcare sector. The NHS England plan, that so far has received no public consultation, is to introduce Urgent Treatment/Care centres (UCCs) at 5 hospital sites across Lincolnshire in an attempt to reduce attendances at A&Es. It's also been revealed there are 150 Urgent Care Centres planned for England by December 2019. It's anticipated the 150 urgent care centres will be located at various places throughout the community and could result in over one-third of A&Es in England either closing or being downgraded. On a smaller scale this is what NHS England did over at Chorley & South Ribble hospital in Lancashire in 2015 with health bosses claiming the Urgent Care Centre was there to supplement the A&E and to reduce admissions to A&E. 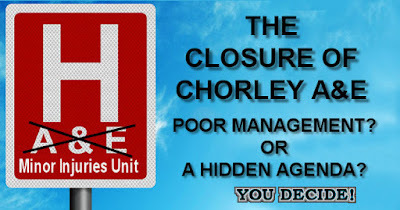 The reality is the ultimate plan revealed later in 2015 as the 'STP' was to downgrade the Chorley A&E and replace it with the extended UCC & and to send patients from the Chorley area over to the trusts other hospital A&E at Preston. It's not necessary to build an urgent care centre adjacent to the A&E unless the UCC is to be privatised and to replace the A&E. With perhaps the exception of 1 or 2 A&Es in Lincolnshire, so is a trial to see if an A&E can still manage demand with reduced numbers redirected to the Urgent Care Centre before eventually replacing the A&E. *Urgent care review. NHS England claim the walk-in urgent treatment centres will be open at least 12 hours a day and can also be booked via a GP or through NHS 111. They also claim attendances at urgent treatment centres will count towards the four hour access and waiting times standard. Each hospital trust need stats across 4 quarters (1 year) to get the numbers (across 4 seasons) and to satisfy NHSE criteria for a downgrade. Reports claim a walk-in centre at one hospital in Lincolnshire is to be replaced with a UCC which begs the questions as to how are they to be funded and were the plans scrutinised by the health committees long before the decision being made. General Practice also stand to gain from further deals established in the five year forward view and a related document called the General Practice forward view (GPFV). The General Practice forward view expands the role of the dwindling GP practices by integrating them into a network partnership similar to that used by USA health maintenance firm 'Kaiser Permanente'. The GPFV provides an opportunity for private practices to invest in new ways of providing primary care. And of course remember, the Clinical Commissioning Groups (CCGs) are those GPs and civil servants making the changes in the STPs and reaping any investments. Conflict of interests appear to have gone out the window with CCG co-commissioning. Delegated co-commissioning is illegal in local authorities due to the obvious conflicts of interest. NHS England claim a urgent treatment centre is a type 3 or type 4 A&E. The urgent care centres not adjacent to an A&E are nothing like an A&E department and the tag of 'type 3 A&E or 4 A&E' is assigned to appease the public that the 4 hour A&E target to be seen as in a type 1 A&E still applies. The titles are irrelevant, they are just the same as a walk-in or a minor injuries unit. Same services: lucrative/profitable, high-turnover, low risk, just right for the private sector. NHS England have just paved the way for the private health sector to run the front end of every hospital in Lincolnshire. NHSE Guidance telling local areas need hurry up and to get started on setting up the new urgent treatment clinics.. In May this year, the local papers reported that four top directors were leaving the Lancashire Teaching Hospital NHS foundation trust. This sparked suspicion as to why such top executive figures had made the decision to leave? The trust had a deficit of £42m and were rated as 'requires improvement' by the care quality commission - and has recently again been rated the same. 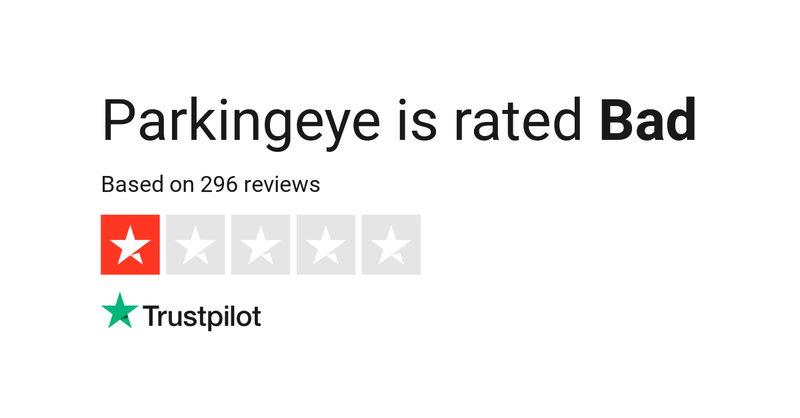 The prediction was accurate, and a few months later in October 2018 the CQC awarded the hospital trust another rating of 'requires improvement'. Suspiciously, the trust chief executive Karen Partington stated all directors who had left the Hospital trust had confirmed they'd got other jobs, and Ms Partington wished them every success. A strange congratulation considering they'd left Ms Partington and the rest of the board to collect the unfortunate accolade that would lead to requires improvement from the CQC. The real reason of course is the ship has been putting plasters over its leaks for years; hoping someone won't notice - fortunately campaigners and health scrutiny found out the ship was heading towards the rocks and stepped in. In 2017 the trust board were castigated in an independent review about Chorley A&E closure for refusing to ask health boards for advice and assistance. They were also criticised for not recruiting staff earlier. 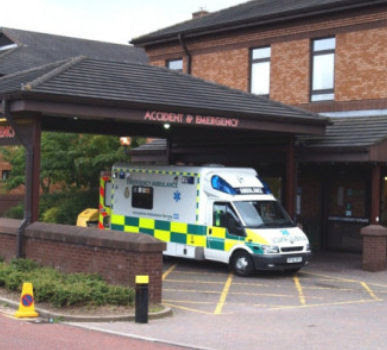 The independent review panel looked at the arrangements at the time at both Preston and Chorley hospitals, to see if our A&E department at Chorley could reopen, within the current medical staffing available. And it was re-opened albeit part-time, but it was re-opened and apparently could have been reopened sooner. "Having the emergency department reopened at the same time as the opening of the new 24-hour urgent care centre, integrating the two services, will provide additional resilience. This is an opportunity to enable the service to reopen without compromising patient safety". All along they've wanted to ensure a part-time A&E could likely run alongside a 24 hour Urgent care centre. This is the precursor for a permanent closure of the A&E as a simple expansion elsewhere (eg Preston hospital) could take up the slack leading to the permanent closure of Chorley A&E. I stand by what I've always said: The urgent care centre was not built to supplement Chorley A&E but to eventually replace it. Now the urgent care centre is privatised, the CCGs, who hold the purse strings and no doubt pull them, intend moving other services out of hospital and doing the same to them. There is of course another reason. In October the same year , NHS England chief executive and ex vice president of Americas largest private health insurer 'Simon Stevens' had previously singled out the Lancashire Hospital chief executive Karen Partington for praise in an interview with HSJ, for making the “right decision about what was needed in Lancashire”. He said it was an example of how he would support and create a “safe harbour” for local leaders who would take brave decisions and who were “going to drive” change in the health service. Well not while we're around you're NOT! It's Our NHS, and we're not letting you give it away or to play dangerous game with! 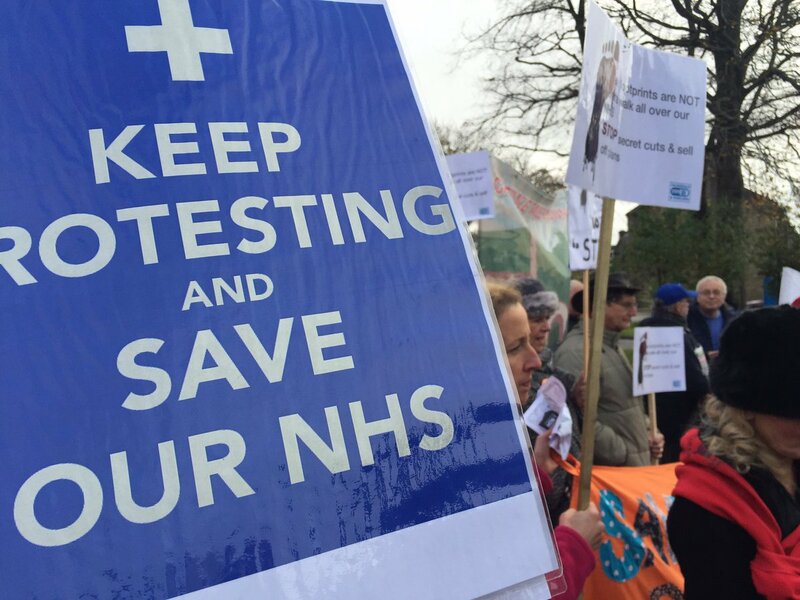 Join our campaign to save Hospital A&E and other services in Lancashire.